simulation as a training aid set him apart. The simulator familiarized me with the cockpit, instruments, and procedures, giving me more confidence in the air and letting me focus on flying the plane. As a result, I earned my license with significantly fewer hours in the air, saving time and money." Mark 1 Aviation was inspired by—and retains—a single vision: providing you with a personalized style of flight instruction that sets us apart within the industry. Flight instruction includes both on-the-ground and in-the-air components. But while most flight schools and flight instructors are content with conventional training techniques—for example, use of white board diagrams and miniature airplane models—we constantly strive to enhance the total training experience by drawing upon a rich array of innovative methods and technologies that we deem useful. 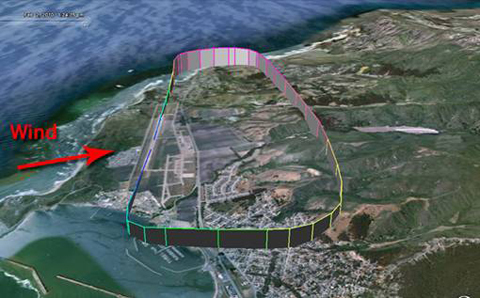 These include In-flight Video Recording and GPS Track Analysis (described below). An ideal way to get a feel for flying and for our personalized approach to flight instruction is scheduling the Mark1 Aviation Discovery Flight (aboard a glass-cockpit, technologically advanced aircraft (TAA). Your fringe benefit will be unforgettable views of the beautiful San Francisco Bay area. At that time, we’ll answer any questions you have and, if you wish, develop a Personalized Pilot Plan. During a typical flight lesson, much more happens in the cockpit than there is time to discuss while aloft. To capture “teaching moments” that might otherwise be missed, In-Flight Video Recording offers a powerful training tool. Back on the ground with Mark, you can “re-fly” the entire lesson, leveraging your in-flight experience. The video also provides a unique way to let friends, family, and co-workers share in the training experience. The GPS track information we record during each flight lesson and can later be overlaid on Google Earth, giving you a unique opportunity to critique your performance and improve your understanding of concepts relating to altitude and heading control of the airplane.